Among (some of) the misconceptions lots of people have about Tahiti, is the idea that all flowers are available in Tahiti. It is true that most islands are very luxuriant (with the exception of the Tuamotu islands which are atolls and have very little vegetation) and that Tahitian women all wear flowers in their hair or on the ear… so wedding flowers in Tahiti should be the least difficult thing to supply, right? Well we actually only have tropical flowers in here, which makes sense if you think about it – we are under a tropical climate – so that makes your options kind of very limited, a handful of flower varieties really. 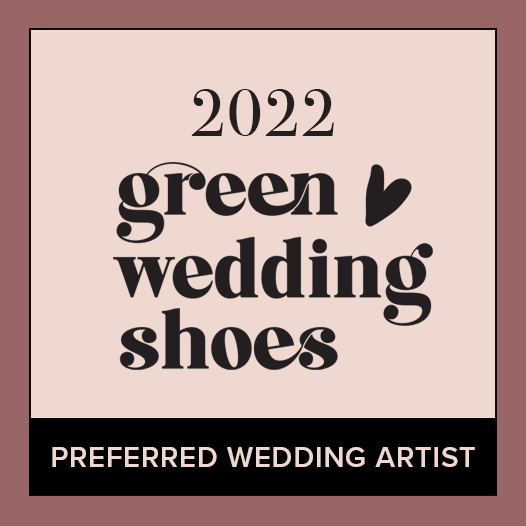 And no, there is no floral shop in Moorea… there are barely 3 tiny floral shops in Tahiti, the capital island, where I’ll get my florist vendors to work something as close as possible to your wedding accent color and/or preferred style for your flowers. We can’t however produce anything like those amazing bridal bouquets that are all over Pinterest & Instagram, all designed with very delicate flowers and incredible color palettes, because we don’t have any of these in here, and shipping flowers to Tahiti often always brings its share of surprises. Tropical bouquets come in different sizes and shapes, as you can see above with a round bouquet (made of anthuriums, proteas and orchids), a cascading bouquet (made of gardenias and dendrobium orchids), and an oversized bouquet (made of anthuriums and tropical leaves/greeneries). When popular wedding flowers such as peonies or ranunculus (my favorite!) 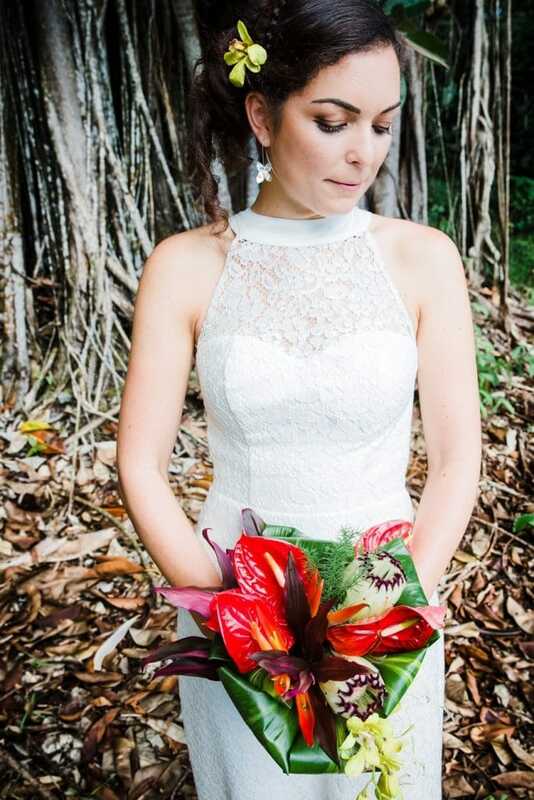 are in season in New-Zealand, we of course jump at the opportunity to bring those beauties to our brides bouquets in Tahiti! 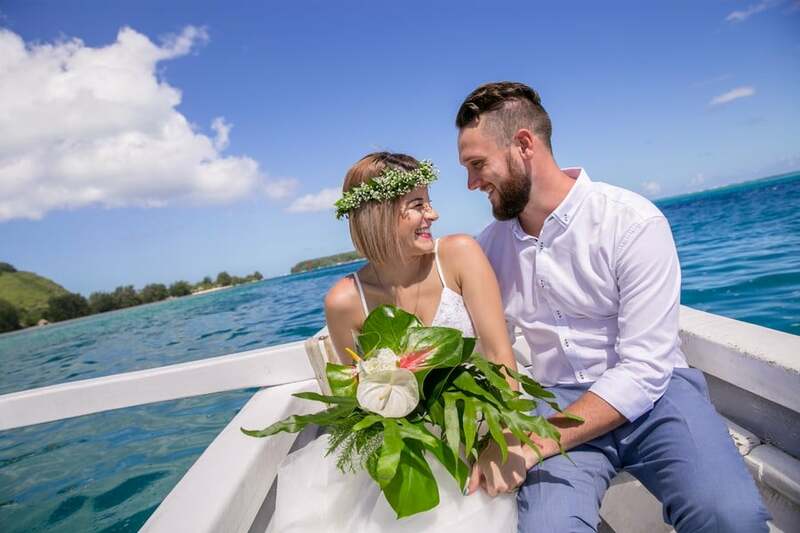 How To Get Dream Wedding Flowers In Tahiti? Flower Crowns vs. Hair Accessory: Wedding Trends To Lose Or To Love? Not Sure Of What Flowers You Can Have For Your Destination Wedding In Tahiti? Contact Me Here For Some Guidance!